Restorative justice caseworkers, members of CUPE 4764, voted unanimously in favour of a new collective agreement today with their employer, the Community Justice Society (CJS). The agreement was reached in negotiations held Friday, August 31, 2018. Effective immediately, the caseworkers will receive an almost 20% wage increase. Other improvements include parking, meal allowances, and an adjustment to the retirement savings plan. The new collective agreement runs from April 23, 2016, to March 31, 2021. 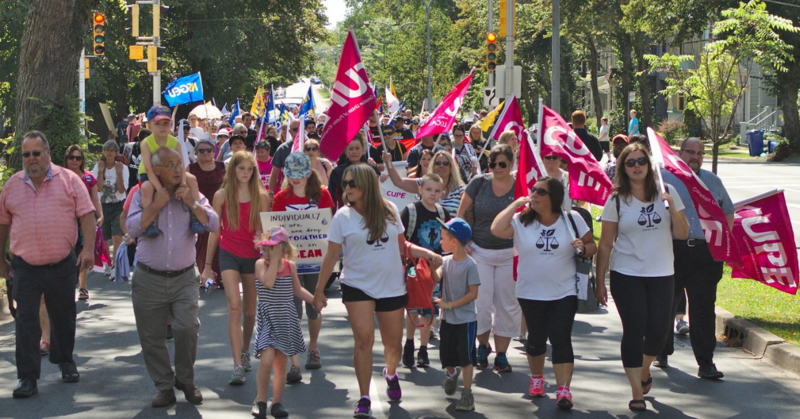 “Throughout this process, we learned a lot about the importance of workers standing together,” says Denise Russell, president of CUPE 4764. After five weeks of striking, the caseworkers will return to work on Wednesday morning, September 5.